Text translation is a science. Perhaps even an art. A person who translates not only must know the languages, but also be educated in various fields. 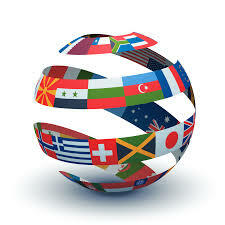 Usually, good translation agencies use around 40 foreign languages. In addition, organizations seek not only well-educated translators, but also professionals in various fields of academia and art. Those can be employees with a medical, legal, archiving background, etc. This moment is very important because it’s not enough to merely know the language – one should also understand the terms, for example, and know how to correctly translate them. People who want to save money use online translators. These are special online programs used for translating into any language. However, the drawback of these programs is that they might not properly communicate the necessary idea. After all, the human factor plays a pivotal role here. If online translators do a literal translation of the text, a person can replace a word with a synonym that would sound better in the foreign language. Each language, of course, has its own features distinct from those of others. That is why the work of a “live” translator is so in demand today. It is one thing to translate a text on a general subject, and it’s another to translate a medical or a legal text. If the former is translated incorrectly, a person’s health or even life might be endangered. If documents are translated incorrectly, they can be subsequently declared invalid. Therefore, this isn’t the case where you should be trying to save money. English has long become international. It can rightfully be called the most common language in the world. Almost 2 billion people all over the world speak it, and another billion or so are studying it. The largest number of English speakers lives in the USA, Canada, UK, Australia, South Africa, Ireland, New Zealand. Each of those countries has its own dialect of the English language. For example, while English is the official language in the US and the UK, in practice it’s practically two different languages. This is absolutely taken into account in cases of text translation. People in China and India most commonly use English as a second language. It’s the most important language today, more or less understood by most people in the world. When recruiting, many companies require the candidate to know English. It’s the language that’s most in demand for translation. English is considered to be easy to learn, but, in order to get a high quality translation, a large number of particularities have to be taken into account. German is also quite in demand. It’s spoken not only in Germany, but also in Austria, Switzerland, Luxembourg and Liechtenstein. But that’s not the only issue. Since Germany is the biggest center of car manufacturing, German translation is often needed. German is quite a complex language, because it has eight different dialects. Sometimes, even the Germans can’t understand their own language’s different dialect. German is hard to pronounce, because there are very long words consisting primary of consonants. Spanish is very widely used all over the world. People speak it all over the world. English– Spanish translation process is different from Spanish – English translation. Spanish morphology is usually not complex. However, the syntax is more difficult. A translator has to know all the constructions of Spanish literary language, including the rare and the old ones. Chinese translation is quite common in translation agencies. However, there aren’t that many real Chinese languages. It’s a very complex language with a very different writing system from the European one. It only makes it more difficult. One has to study the phonetics and the writing system for many years, because Chinese has several thousands of hieroglyphics. And, although in the last hundred years, China has lessened the number of hieroglyphics, it hasn’t made things easier for translators. Also, not all Chinese-speaking countries have accepted the new writing system. Oral translation is particularly hard, because many words can sound the same to an English speaker. And if they’re translated incorrectly, it completely changes the meaning of a whole sentence. Given that the primary economy is concentrated in China, Chinese isn’t going to be less popular, and translation to and from it will always be in demand.